Last weekend British broadsheet newspaper ‘The Sunday Times’ named Palma de Mallorca as the world’s best city to live in – an accolade that has since been doing the rounds of social media among those of us who know and love the city. Although we are very happy country dwellers, on a finca in rural Mallorca, we enjoy visiting the island’s capital on a fairly regular basis. Palma is a city with a lot to offer: a rich history, wonderful architecture, museums and art galleries, theatres, excellent independent restaurants, bars, cafes, beaches, and a year-round programme of cultural and traditional events. The previous owners of our finca – who have become dear friends – sold this place when its maintenance became too much for them, and now own a charming palacio apartment in the heart of Palma. They describe living there (which they do for various periods of time during the year) as “like being in a village”, because people in the local shops and other businesses always greet them like neighbours – and everything our friends need is within a short walk of their home. Their apartment is easy maintenance and they don’t need to own a car – hiring one when necessary. 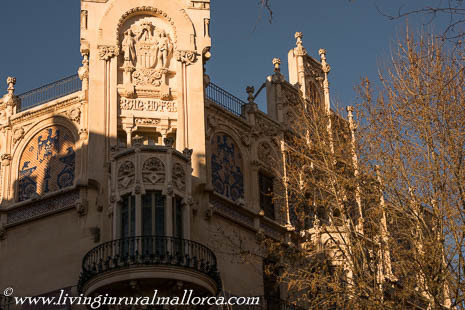 The former Gran Hotel in Palma de Mallorca . . . another cultural centre. These friends are older than us, and we can imagine that, in years to come, we too may wish to lighten our labour load by moving somewhere that’s easier to look after. It’s not a conversation we’ve really had in earnest yet, hoping that we have a good few years before it becomes necessary. But where would we move to? This is certainly an issue worth bearing in mind if you’re contemplating the purchase of a finca later in life. What would you do if you could no longer physically maintain it (or afford to have someone else do it)? Selling a rural property to move back to your home country can be an expensive business – and we have known people who have returned to the UK and regretted the move. Reinvesting in another main residence in Spain leads to some relief on the capital gains tax resulting from the original property sale – in itself a good reason to stay in Spain. Financial matters aside, we love living on Mallorca and hope that – if and when the time comes – we shall find another home somewhere on the island where we will be as happy as we are here. 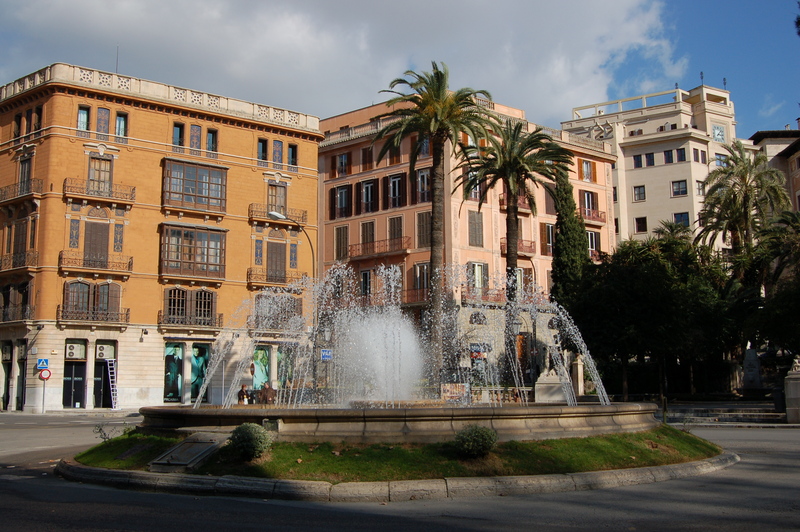 It could be in Palma de Mallorca – the world’s best city in which to live – but something tells me that property prices in the heart of the capital could be set to soar. 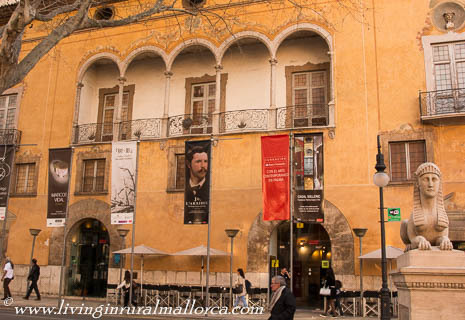 Until then, we’re happy to live in rural Mallorca and visit Palma when we choose to. As much as we love the island’s vibrant and sophisticated capital, we always say that it’s easier to find some buzz and bustle when you live in the country than it is to find some peace and space living in a city . 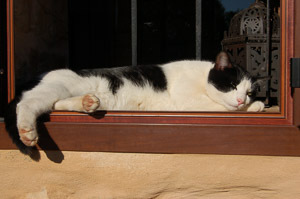 . .
A nap in perfect peace. ← Moving to Mallorca? Prepare to have house guests!